Clark Griswold wannabes, take note: “Hanging outdoor Christmas lights is all about prep work,” says David Gray, a lighting-design adviser at Lamps Plus who created his own outdoor display for many years. You can spend an entire day planning before hanging a single light. Print out an image of your house from Google Street View, then sketch where you want lights directly on the photo. Measure out how many feet of lights you’ll need, budgeting a little extra. There’s no great scientific way to do this; Gray uses a tape measure, noting lengths on the photo as he goes. If you’re short on power sources, use weatherproof ground stake outlet strips (like the ones you use next to your computer, only for outdoor use). These are especially good for lighting trees at the outskirts of a yard. Consider remotes that will let you turn off the lights from inside your house. Most plug into a wall outlet and your first extension cord. 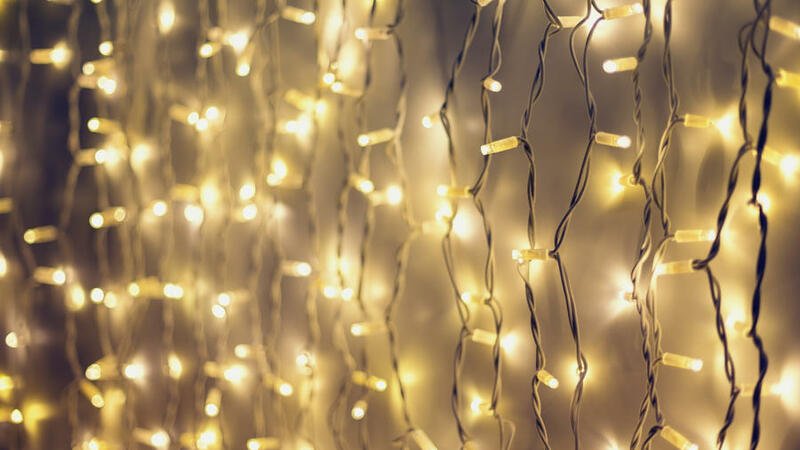 For lights along the roof line, permanently install galvanized or plastic hooks, one for every 8 to 10 feet of lights; this will make the job easier next year. To secure lights between hooks along gutters, Gray uses badge clips (available at office-supply stores). For trees, don’t try to coil lights around all the branches—that’s a pro job. Instead, drape lights from each branch like a garland.